This past weekend was the first one since the middle of June that Mister and I didn't have to be anywhere or do anything. It was so glorious. It was equal parts relaxing, fun, enjoyable and productive. Not to say our summer weekends have not been fun, they have been fantastic BUT I do love being home as well. It was nice to wake up and have 0 plans. Saturday we woke up leisurely, drank coffee and watched Olympic coverage leisurely and then took Floyd on a verrrry leisurely 2.5 mile walk on a nearby trail. He proceeded to sleep the rest of the day. 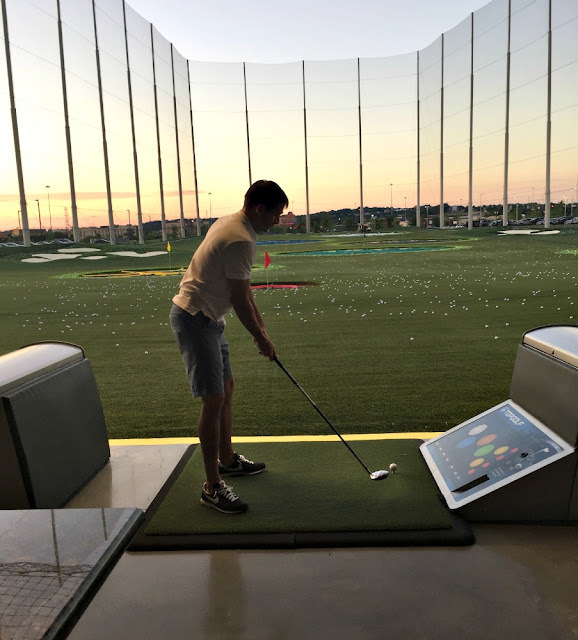 The only concrete plans we had for Saturday were to check out our new Top Golf with some friends. 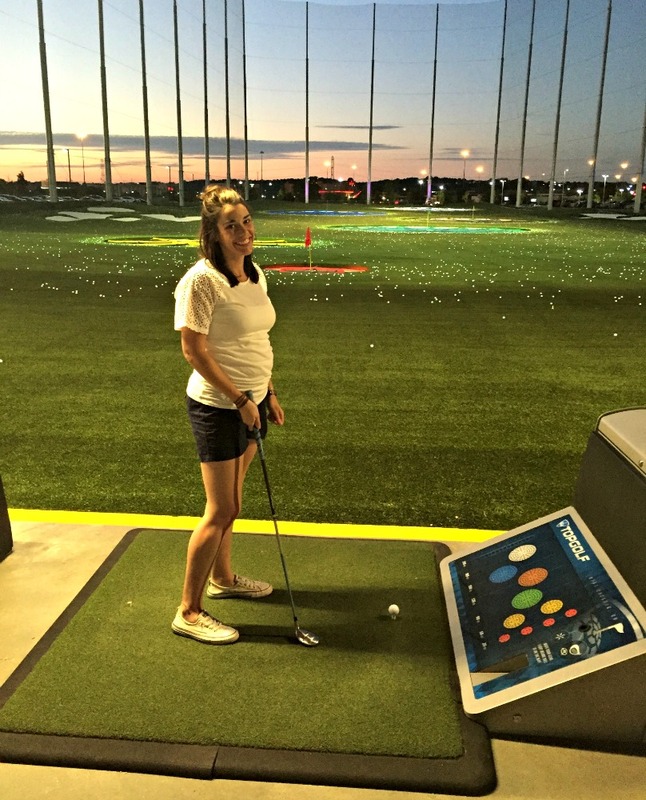 We had played Top Golf in Dallas last Spring and loved it. So when we heard we were getting one here in Cincinnati we knew we wanted to go immediately. Again, it was SO fun. Because it was only the second week it was open, it was busy but we were able to get a bay quicker than they said and were swinging away in no time. I am by no means a golfer or good in the least but even for someone as untalented as I am, Top Golf is a blast! Mister kicked all of our booties but I did manage a couple good shots and chalked that up to a win. Plus Mister picked up my ball each time and put it on the tee, because he is the ultimate gem. And because bending over is getting quite difficult. Sunday was full of church, errands, pool time and assembling a side table for Little Mister's room. 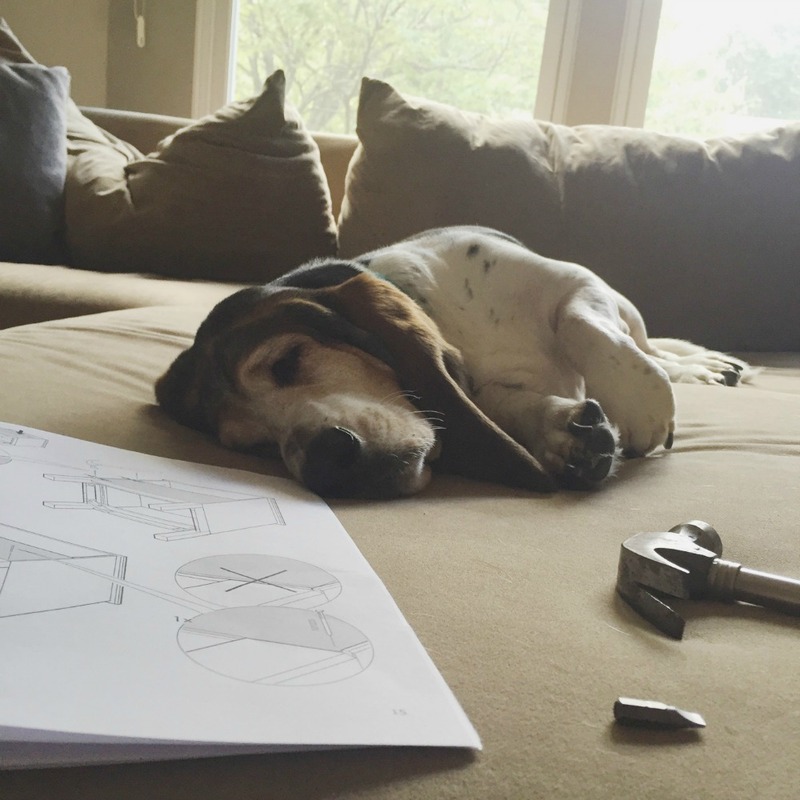 Floyd was very, very helpful with that. 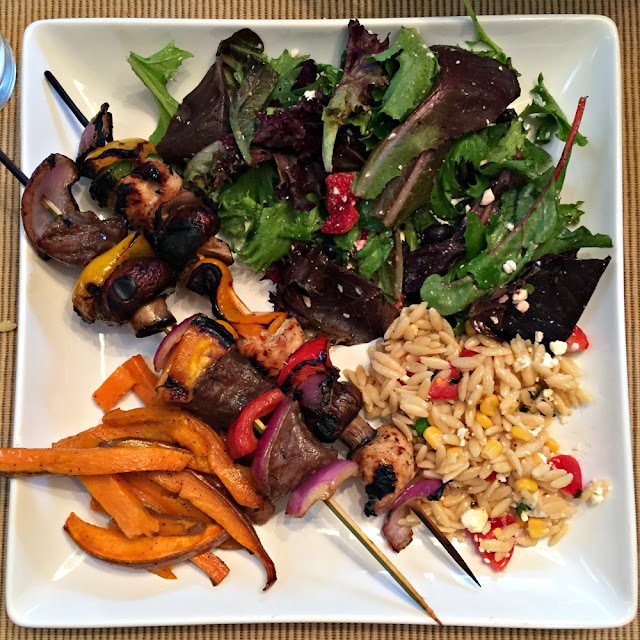 Sunday night we had a delicious and colorful dinner at our neighbors to round out our relaxing weekend. So relaxing that I fell asleep on the sofa at 9:30. Ooops. I've been wanting to try Top Golf for a while now! I didn't know there was one in Cincinnati, so now I think I have weekend plans in a couple weeks...haha.